Simonazzi Remo s.r.l. - About us. Our story. Where we are. 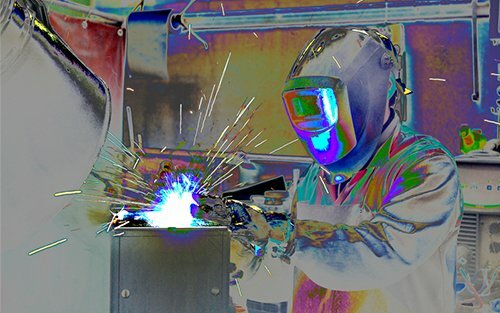 was established in 1986 by a group of professionals, specialized in processing and transforming sheet metal in small and large series, offering a wide range of products made with different types of processing: shearing, punching, laser cutting, bending, welding and other treatments, studied over more than 25 years of production. The careful selection of raw materials enables the company to create sheet metal products that meet customer needs in terms of quality, reliability and durability, establishing itself as a reliable partner in the ongoing development throughout Italy, Germany, France and Holland. The ongoing research in the most advanced technologies allows the staff of Simonazzi Remo S.r.l. to quickly offer steel products, oil and fuel tanks, various types of sealed systems, bearing structures, sumps and panels addressed towards the most diverse work sectors. Simonazzi Remo S.r.l. is located in Novellara, in the province of Reggio Emilia, easily reachable from the A22/E45 Brennero motorway. Carpi exit from south (follow the red line), Rolo exit from north (follow the green line). From the Autostrada del Sole A1, exit Reggio Emilia (follow the yellow line). The company staff is available to provide the necessary information.